Window Vista has a cool preview pane in taskbar. 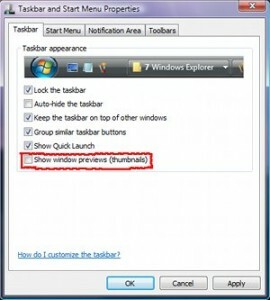 You may disable the taskbar preview pane if you dont like it. It’s good to disable the taskbar preview pane if your do not have have enough RAM and processing power.